SAN DIEGO, Oct. 31, 2017 /PRNewswire/ -- MabVax Therapeutics Holdings, Inc. (NASDAQ: MBVX), a clinical-stage oncology drug development company focused on the development of antibody-based products to address unmet medical needs in the treatment of cancer, provided an important update on its HuMab-5B1 clinical program as well as presented preclinical data for its HuMab-Tn research program describing a new series of fully-human antibodies targeting ovarian and breast cancer at the AACR-NCI-EORTC International Conference on Molecular Targets and Cancer Therapeutics held October 26 - 30, 2017 in Philadelphia, Pennsylvania. Three posters were presented by Paul W. Maffuid, Ph.D., Executive Vice President of Research and Development, outlining important progress in the Company's lead fully human antibody programs, HuMab-5B1 currently in Phase 1 clinical development for the treatment of pancreatic cancer and other CA19-9 positive malignancies, and HuMab-Tn currently in preclinical development with potential clinical utility in breast and ovarian cancers. MVT-5873 in combination with nab-paclitaxel and gemcitabine as first line therapy – The Company reported that newly diagnosed pancreatic cancer patients participating in the Phase 1 clinical trial of MVT-5873, when given in combination with first line nab-paclitaxel and gemcitabine, demonstrated reductions in tumor size after the first two months of therapy. The data reported from this dose escalation safety study included safety data from 7 patients at 1mg/kg and 0.125mg/kg. After the first cohort was treated at 1mg/kg, the MVT-5873 dose was reduced to 0.125 mg/kg in combination with nab-paclitaxel and gemcitabine as the lower dose appears to be generally well tolerated. Two of 3 patients at this lower dose had a partial response (PR) with the remaining patient recording stable disease (SD). One patient continues therapy after six-months. The Company is currently enrolling an additional cohort of patients at the 0.125mg/kg cohort and expects to report on additional data near the end of this year. Utility of HuMab-5B1 (MVT-5873) in cancers beyond pancreatic cancer – At the AACR-NCI-EORTC meeting, the Company presented a series of studies examining expression of CA19-9 on tumor microarrays (TMA) and patient derived tumor xenografts (PDX). The results support the expansion of clinical studies of MVT-5873 for the treatment of other CA19-9 positive malignancies, including colorectal, small cell lung and non-small lung cell cancers. Human colorectal (CRC) TMA samples displayed moderate to high levels of positive staining with MVT-5873 in >75% of tumor samples evaluated. MVT-5873 staining of PDX samples was positive in 21% of non-small cell lung cancer (NSCLC), 50% of small cell lung cancer (SCLC), and 69% of CRC cores evaluated. The study included PDX samples from patients with KRAS, BRAF, PIK3CA, or MMR pathway mutations and PDX samples rendered chemoresistant. These results support that expression of CA19-9 in these tumor types is unaffected by mutational status or treatment with chemotherapy. Based on these encouraging data, the Company plans to enroll and treat patients in its ongoing clinical trials with tumor types beyond pancreatic cancer. The Company has previously reported Phase 1a results for MVT-5873 as a single agent in pancreatic cancer patients. New antibodies focused on the treatment of breast and ovarian cancer – The Company presented data from its lead preclinical development program summarizing the discovery, optimization, and target validation of new series of fully-human antibodies targeting the Thomsen-nouveau (Tn) and the sialyl Tn (sTn) carbohydrate antigens that have potential use for the treatment of patients with ovarian and breast cancers. Tissue microarray data support that these carbohydrate antigens are present on a broad array of tumor types and minimally seen on normal tissues. The results summarized the binding specificity, high affinity, and internalization data that make this series of antibodies attractive as development candidates. Target validation data included screening against multiple patient tumor microarrays of breast, lung, ovarian and colon cancer. 90% of samples from patients with triple negative breast cancer and 50% of samples from patient with ovarian cancer tested positive. A patent application covering this series of antibodies was recently filed by the Company and it is actively advancing the lead series. MabVax Therapeutics Holdings, Inc. is a clinical-stage biotechnology company with a fully human antibody discovery platform focused on the rapid translation into clinical development of products to address unmet medical needs in the treatment of cancer. Our antibody MVT-5873, is a fully human IgG1 monoclonal antibody (mAb) that targets sialyl Lewis A (sLea), an epitope on CA19-9, and is currently in Phase 1 clinical trials as a therapeutic agent for patients with pancreatic cancer and other CA19-9 positive tumors. CA19-9 is expressed in over 90% of pancreatic cancers and in other diseases including small cell lung and GI cancers. CA19-9 plays an important role in tumor adhesion and metastasis, and is a marker of an aggressive cancer phenotype. CA19-9 serum levels are considered a valuable adjunct in the diagnosis, prognosis and treatment monitoring of pancreatic cancer. With our collaborators including Memorial Sloan Kettering Cancer Center, Rockefeller University, Sarah Cannon Research Institute, Honor Health and Imaging Endpoints, we have treated 50 patients with either our therapeutic antibody designated as MVT-5873 or our PET imaging diagnostic product designated as MVT-2163 in Phase 1 clinical studies, and demonstrated early safety, specificity for the target and a potential efficacy signal. Patient dosing has commenced for our lead development program in Phase 1 clinical study of the Company's radioimmunotherapy product MVT-1075. 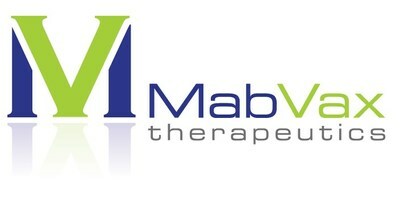 For additional information, please visit the Company's website, www.mabvax.com. This press release on announcing the poster presentations for the Company contains "forward-looking statements" regarding matters that are not historical facts, including statements relating to the Company's clinical trials and product development pipeline. We have no assurance that the product development pipeline will be fully developed by the Company. Because such statements are subject to risks and uncertainties, actual results may differ materially from those expressed or implied by such forward-looking statements. Words such as "anticipates," "plans," "expects," "intends," "will," "potential," "hope" and similar expressions are intended to identify forward-looking statements. These forward-looking statements are based upon current expectations of the Company and involve assumptions that may never materialize or may prove to be incorrect. Actual results and the timing of events could differ materially from those anticipated in such forward-looking statements as a result of various risks and uncertainties. Detailed information regarding factors that may cause actual results to differ materially from the results expressed or implied by statements in this press release relating to the Company may be found in the Company's periodic filings with the Securities and Exchange Commission, including the factors described in the section entitled "Risk Factors" in its annual report on Form 10-K for the fiscal year ended December 31, 2016, as amended and supplemented from time to time and the Company's Quarter Reports on Form 10-Q and other filings submitted by the Company to the SEC, copies of which may be obtained from the SEC's website at www.sec.gov. The parties do not undertake any obligation to update forward-looking statements contained in this press release.